I think the last time I bought myself a good pair of winter boots was when I was living back at home, about 8 years ago. So, I think buying these new Sorel Winter Boots was way over due, lol! These are one of Sorel's premium boots. They are waterproof full grain leather at the bottom, and oiled suede on top. They also have fur on the top collar which makes them so warm and cozy. I have already shovelled the driveway, and gone tobogganing in these boots, and never have my feet felt cold. They are so comfortable too! They also have amazing rubber soles which give me great traction in the snow and icing conditions. I have to walk my son to school each day so I wanted to make sure I got a good quality boot. I bought them in the black, but I think they might already be sold out, so I linked the brown ones above. I hope you all had a great Christmas, and have a wonderful New Year! Yes, you read the title correctly! Disney On Ice presents Dream Big, will be playing at the Rogers Centre in Toronto from December 23 to January 1, 2017. Just in time for the Holidays! Being that the show plays after Christmas as well, you don't have to make it an early Christmas gift like we did last year. If you have some time off over the Christmas break, you could go as a family. I know a friend of mine bought tickets already. She also added 2 Disney princess dresses wrapped in a box, with the tickets inside to give to her girls on Christmas Day! Isn't that such a great idea? They are going to love that! I saw so many little girls wearing their princess dresses to the show. So, if they have one already they are more than welcome to wear it. Enter a world where adventure is awaiting and courage leads the way at Disney On Ice presents Dream Big. 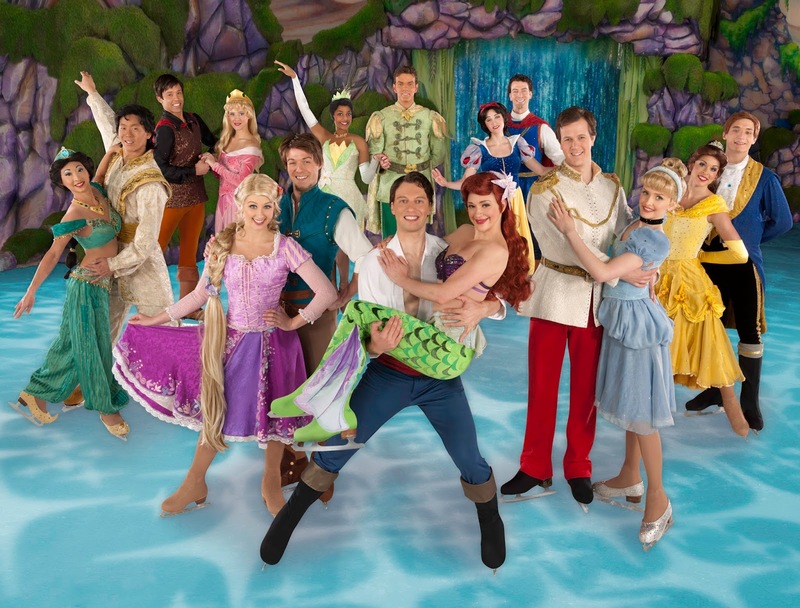 Join Tinker Bell as she takes you on a journey of beloved Disney tales LIVE ON ICE. Make a splash with the fearless dreamer Ariel and watch Rapunzel, Cinderella, Snow White, Tiana and Belle remind you to always be strong, kind and fearless. Travel to the wintry world of Arendelle with Anna, Elsa and Olaf from Disney’s Frozen as they learn that true love is the greatest magic of all. Be there to discover a whole new world with the daring Jasmine. Believing is just the beginning when Disney On Ice presents Dream Big skates into your hometown! 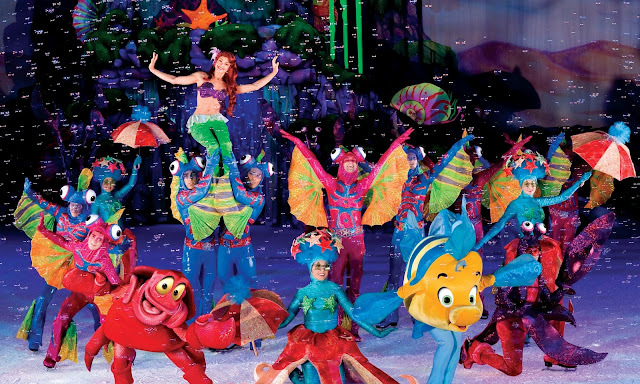 To purchase tickets, visit www.ticketmaster.ca or www.disneyonice.ca. You can also go to Rogers Centre box office or call 1-855-985-5000. Ticket prices start at only $28! If this is your first time going to a Disney On Ice show, you can read my post from last year here to get an idea of what to expect. 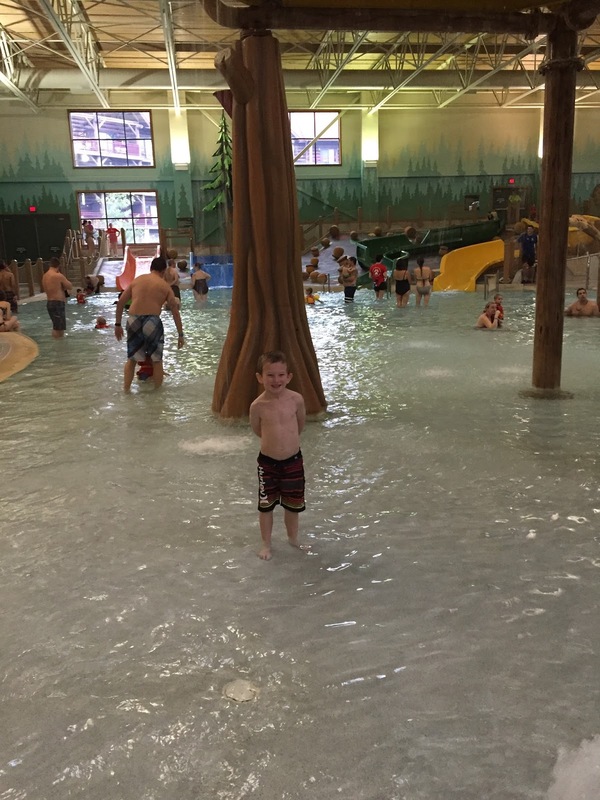 On Monday we got back from our 1 night stay at Great Wolf Lodge in Niagara Falls. This was our 2nd time visiting and I have to say we had a blast! The first time we went was back in March, but there is something about going around Christmas time that makes it that much more special. Everything inside was decorated so nicely, and seeing the whole place lit up on the outside was beautiful. You are allowed to start using the water park at 1pm the day you arrive, so we made sure we got there an hour early to check in. After checking it, they gave us a place to store our bags until our room was ready. Once all that was taken care of, we got into our bathing suits and headed to the water park! Before heading into the park, the kids needed to be measured to see which slides they were allowed to go on. My son was so happy he had grown a bit more compared to last year because he was able to go on some new slides. Out of all the water slides they have, I would have to stay the Canada Vortex and Niagara Rapids Run were my favourite. My husband loved the newest slide that they have called the Wolf Tail. You step onto this launch pad and the floor drops from under you. Then you fall 20 feet nearly vertical. It's crazy! I definitely won't be trying that! My son's favourite was the Wooly Mammoth and went on it with us over and over again! Being that my daughter was too small for the larger slides, she loved to play in the toddler area. There were 4 perfect sized slides that she was able to go down. I liked that they were side by side because sometimes my son would go down one next to her and she loved it! They also had basketball nets in the water, so they loved taking turns throwing the ball in the net. The park also has a wave pool, and lazy river where we spent a lot of time because all 4 of us could be together at the same time. The wave pool was nice because it has a shallow end for my daughter to splash around in, and my son played in the deeper end. They got so excited when the waves started, they were kicking their feet at the waves and jumping into them. The lazy river was nice too because they had a double person blow up ring. I took my daughter in one and my husband took my son in the other and we just followed each other . They have complimentary towels that you can use, and if you forgot something they have a "Swim Wear" Store that sell bathing suits, little swimmers (I forgot those last year! ), goggles and they even have lockers that you can rent as well to store your stuff. Getting the passes for both kids worked out great for us. We took advantage of everything after dinner when the water park was closed. We did a MagiQuest game, went to the Arcade, and bowled. It was a lot of fun! The kids loved getting to pick out their animal from the Great Wolf Station and got it stuffed right before their eyes! Right before bed we went to the main lobby for a dance party. All the kids danced to music while they played Christmas Carols, and had fake snow blowing in the air. They also stayed for Story Time as well. To finish off the evening, they had fires going out front to roast marshmallows which was so much fun! I'd have to say one of my favourite parts of our stay was waking up in the morning and eating breakfast inside this life-sized Gingerbread House! Hands down! I didn't know this, but since 2007, Great Wolf Lodge has been creating these life-sized Gingerbread Houses for a fundraiser for Ronald McDonald House. The house is absolutely amazing! The walls, doors and features are all baked, iced, candied and sugared. They kids were in their glory. They just couldn't stop staring at it. I couldn't believe that over 700 hours were dedicated to building this Gingerbread House. They have a Pastry Team, and an Engineering Team that worked hard together to make this house for such a good cause. Everything from the outside to the inside was displayed with so much creativity, detail, hard work and LOVE! Inside was a large table in the centre, surrounded by an adorable little window, Christmas tree, and a fireplace that had a mantle made out of candy. They also had the cutest miniature village with a train that rode around a track that went inside and outside of the house. Another special touch they added that I loved, was all the framed pictures of all the past Gingerbread House. It was so neat to see how they all differed from year to year. You can enjoy a private breakfast, lunch or dinner inside this Gingerbread House by making a reservation before your stay, and giving a donation to Ronald McDonald House once you have finished eating. 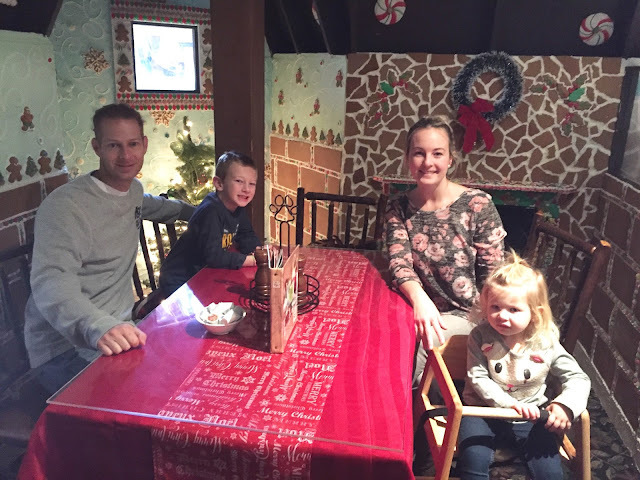 260 families have dined inside the Gingerbread House, and their seating donations have raised over $50,000 since the fundraiser started 10 years ago. Isn't that amazing?!! I have always loved the food at Great Wolf Lodge. They have an all you can eat dinner which is amazing. They had mussels, all different kids of pizza, flank steak, veggies, salad and so much more. They even had a perogie station! If you want to plan a trip to Great Wolf Lodge, visit their website here for more information.